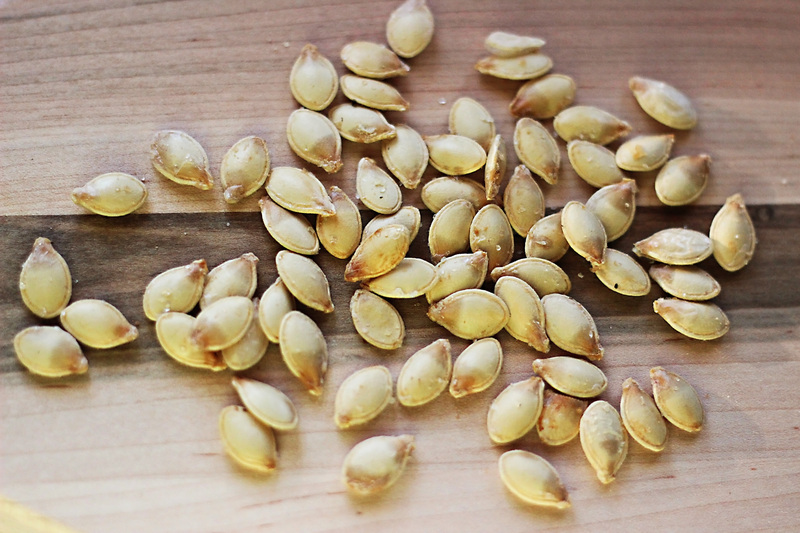 Yes, you can roast spaghetti squash seeds! After dropping $5 for a spaghetti squash (and they’re supposed to be in season right now!) I wanted to get the most bang for my buck. They are similar to and just as tasty as roast pumpkin seeds. 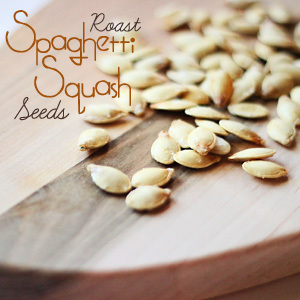 So paleo dieters, next time you eat spaghetti squash and meatballs be sure to save the seeds for roasting. They make a great snack. Preheat oven to 300 degrees. Remove seeds from squash and rinse. Dry thoroughly using paper towels. In a small mixing bowl, combine seeds, olive oil, and sea salt. Spread seeds on ungreased cookie sheet making sure none are touching. Bake 10-15 minutes on one side. Turn seeds using a spatula and bake another 10-15 minutes. Seeds are done when golden, slightly brown on ends and edges, and have a nice crunch when eaten.